I want two a day workouts in a singlet and shorts at 7am & 3pm, a pool to relax around, sleep 9 hours a night, and good places to eat in-between. This isn’t too much to ask in a vacation…is it? Daytime highs of 25C, not a cloud in sight for days, and the perfect light breeze to keep the hot edge off. Our plan is to live the best of both a desire to be retirees, and run everywhere. Especially at sunrise in 14C weather. The routine this week will be straightforward. I am getting up early and doing some sunrise workouts, and meeting Allison at the pool by eight. Roll, pool & hot tub rounds, legs up, books, beers, and coffee. 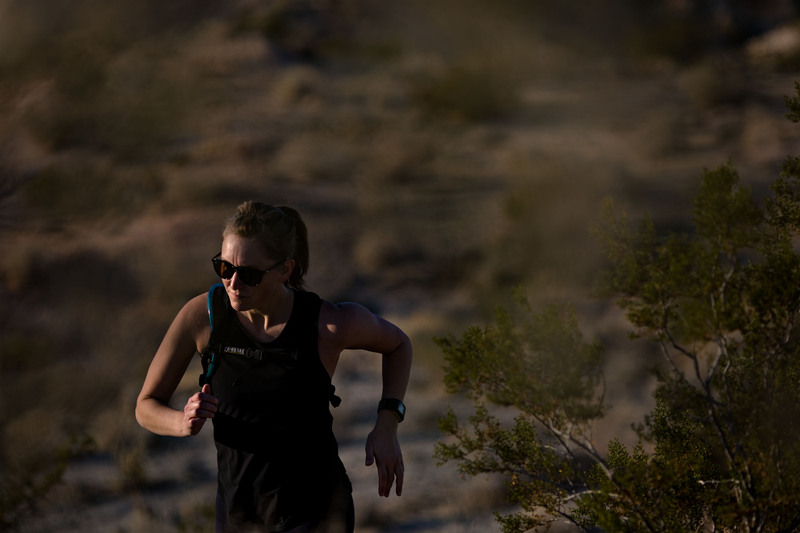 Lunch at home or out somewhere, then an afternoon trail run with some solid elevation gain. Perhaps a nap or more book. Finished off with a handful of dinner spots in or around Palm Springs that we want to check out. King’s Highway, Rooster and the Pig, Cheeky’s, and Workshop Kitchen + Bar. We’ve got some other options, but that’s the bulk of the list. Rinse & repeat for five days. 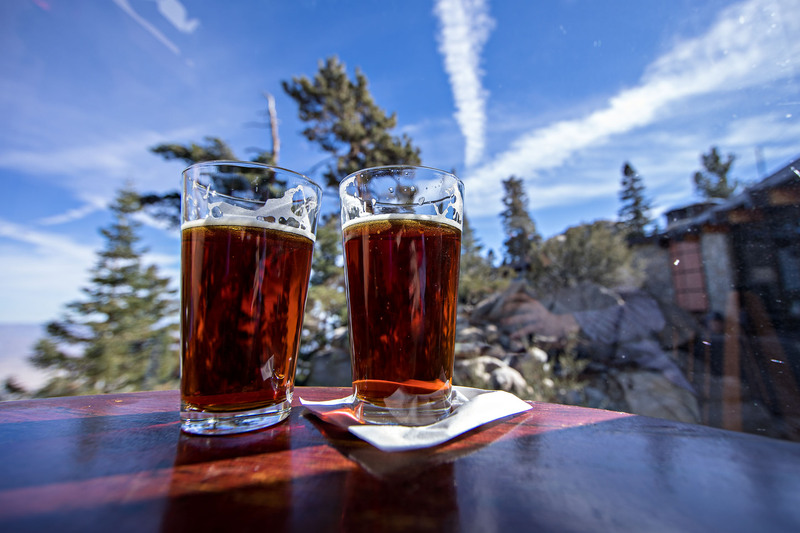 Our expectations for the dead of Palm Springs’ pre-Christmas lull are not much. Our biggest concerns are that we don’t want to waste a meal or a workout. Spoiler alert, we don’t. 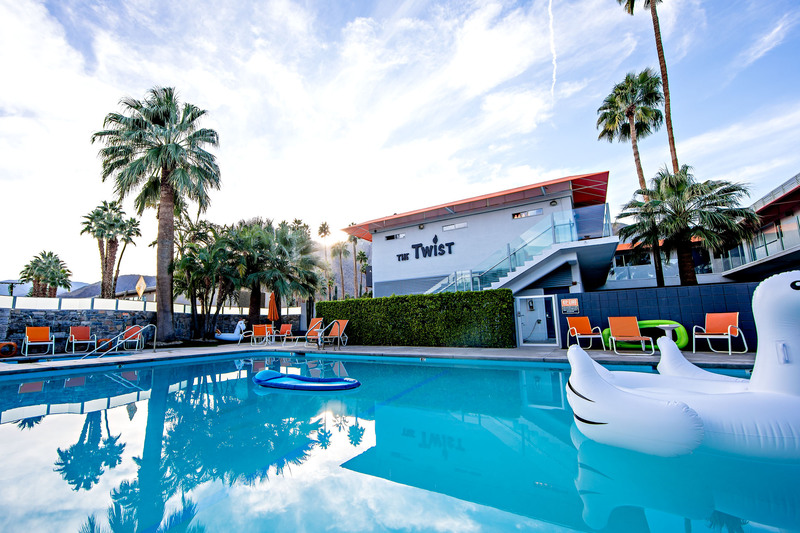 We stay at The Twist a mile north of the main downtown strip, so it’s quieter when the sun goes down. Remember, I am basically a senior citizen and have no intentions of being up beyond 9pm on any given night. Ya, par-ty animals. In early December, the sun sets before 5pm, but it’s been hiding behind the San Jacinto Mountain Range for an hour before that. Very few street lights populate the Palm Springs area, never a cloud in the sky, and out in the desert it gets dark fast at sunset. Needless to say, plan to always be back from hikes/runs before 5pm, or have headlamps. At 4:45pm, it’s still easy to shoot action running shots with a low ISO, but all that light is gone shortly after. At 5pm, it is pitch black out there. 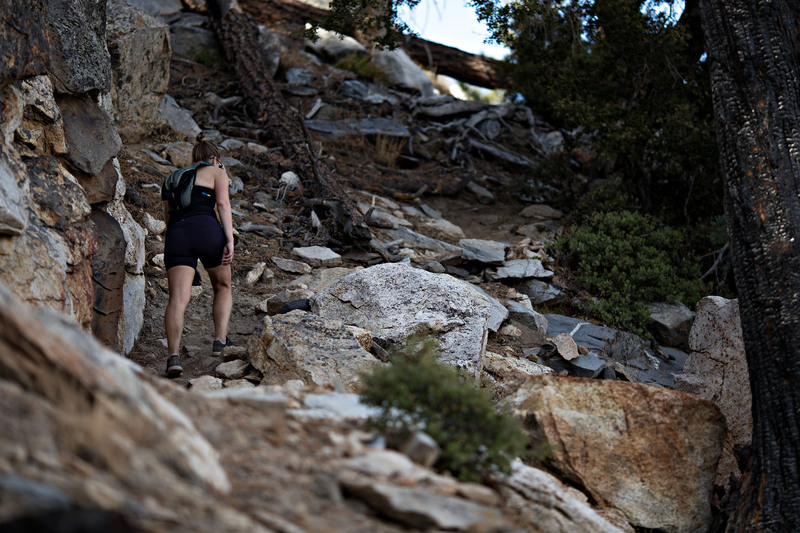 We manage to tackle Bump & Grind, Old Dunn Road, and Bogert Trail to Murray Peak during the week. Starting each run/hike at 3pm gives us time to enjoy some shade with the sun dipping behind the Mt San Jacinto range to the west. We range 4.8km to 12km runs with 260m to 620m of elevation gain. You can find anything you want in trails out here. 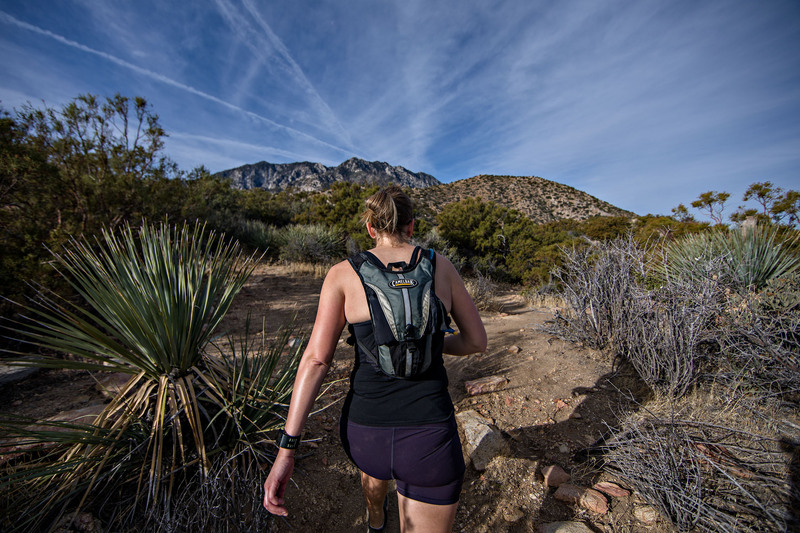 A combination of All Trails and Strava is a good approach to finding the right types of runs and hikes one wants. 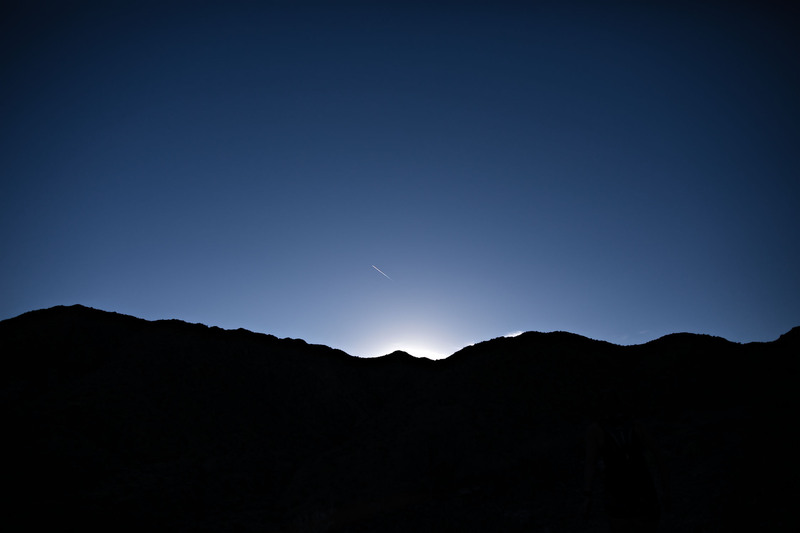 Sunrise is officially at 6:30am, but with a bright moon and no clouds, the desert is bright enough to navigate by 5:30 or 6. In fact, we didn’t start our Skyline Trail hike until 6:30am for fear of light, but could have easily started an hour earlier without headlamps. My morning workouts are perfect around 7am though and love running through the streets of Palm Springs as the sun comes up. The high-school track is also accessible through the gates at the north end of the track. It’s been weeks since I’ve been on a track and couldn’t be happier to finish up my fartlek workout on the 400m oval office as the low slung sun crawls across the sky. Our trip culminates on the Skyline trail Saturday starting at sunrise at 6:30am. Part of the Cactus to Clouds trail from near the desert floor at the Palm Springs Art Museum up some 10,834 feet to the peak of Mt San Jacinto. The heavy lifting of that hike is on the Skyline Trail. I actually looked at this hike last night, we should be okay. As we pull into the parkade across the street from the Palm Springs Art Museum at 6:23am, we see another group of 3 hikers pouring out of their cars and getting prepped to head up. We confirm they are going to the peak and both Allison and I feel immediately relieved that we won’t be the only ones on the Skyline Trail today. After looking the Skyline Trail up last night, I have to admit I was a little concerned. I have this terrible habit of leaving things for the last minute. At 10pm I see hikers talking about the Skyline Trail in the top 5 hardest hikes in America. I start to question our level of preparedness. 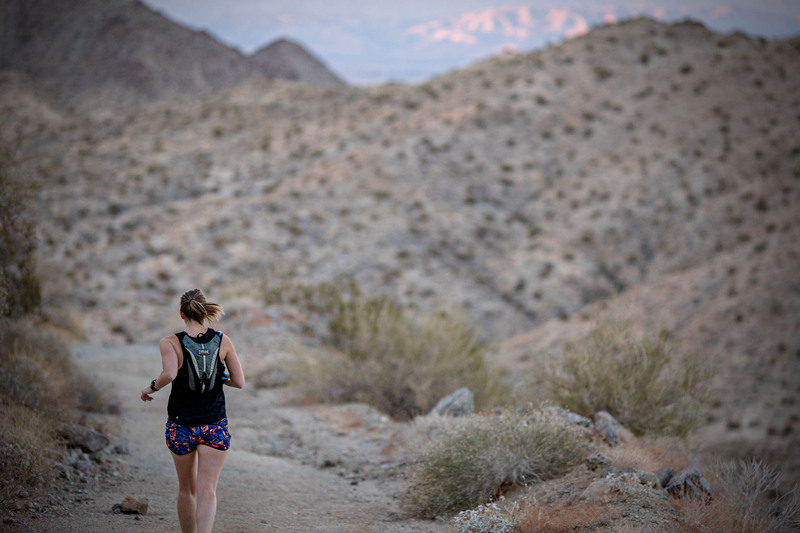 Upon further research before 11pm, I am relieved to see it really is a physically challenging trail given the lack of bailouts or water, and elevation gain, but very do-able for fit runners in perfect weather conditions with light packs. We have perfect weather and I confirm on a forum that there are no signs of winter above 7000 feet or on the traverse. 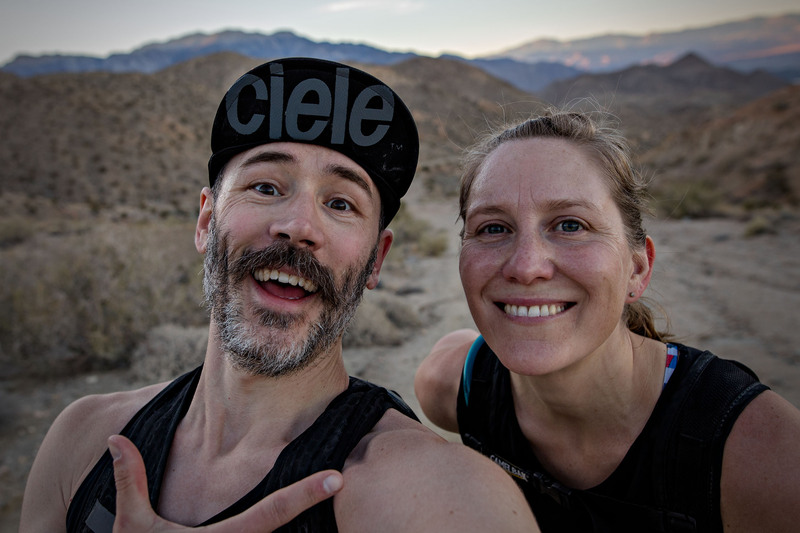 We are ready to rip our second equally substantial Skyline Trail this year. First in Jasper, now in Palm Springs. In just over 5 hours, we were at the tram surrounded by people in a bit of an odd moment when you are immediately not completely isolated from the world, and smack dab in the middle of a tourist attraction. We only passed 13 people on the hike, so there is plenty of seclusion on the trail. It’s only 15.7km, but over 2500 meters of elevation gain make the Skyline Trail an isolated challenge. We had a couple Clif bars, and a couple Honey Stinger gels each, along with a couple oranges we cut up. We also brought sandwiches but didn’t even dip into those. Our only real change we’d make if we ran it again tomorrow would be to bring more water. We each have 1.5L packs, and I have an extra 800ml bottle, but another liter each wouldn’t hurt as I am definitely rationing my water to last all morning. All water is Nuun’d up from the feet up. A predicted high of 24C, and at 6:30am when we start, it’s only 16C. By the time the sun really starts to get warm, we are high enough that it’s a bit cooler, and there are trees and bushes that provide plenty of shade from the still low lying sun. A small amount of cloud cover also helps diffuse the suns heat. The trail conditions are great, and we very seldom find ourselves questioning the route. Trail shoes would be ideal, but our road shoes are just fine. I will add hiking poles to my list next time as well. 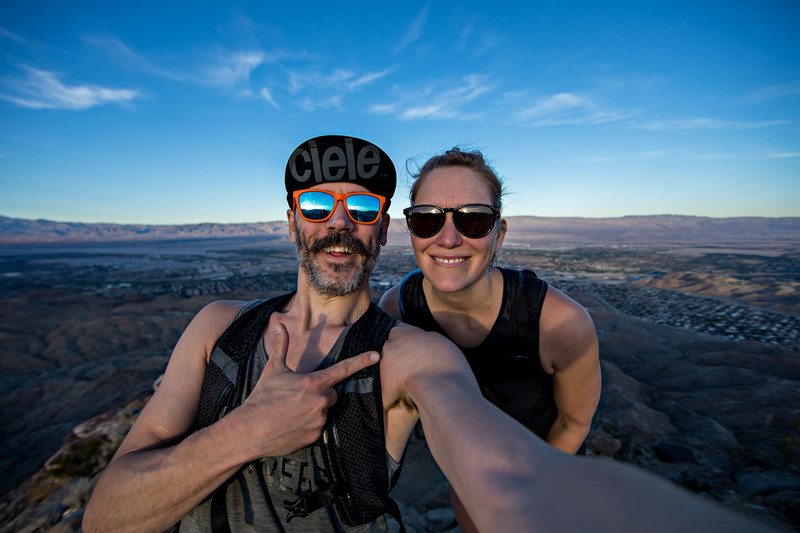 Feel free to reach out if you plan on doing the Skyline Trail in Palm Springs and want some feedback. The biggest variable is weather. Middle of summer is entirely different than our experience in early December, and even a month from now potentially. 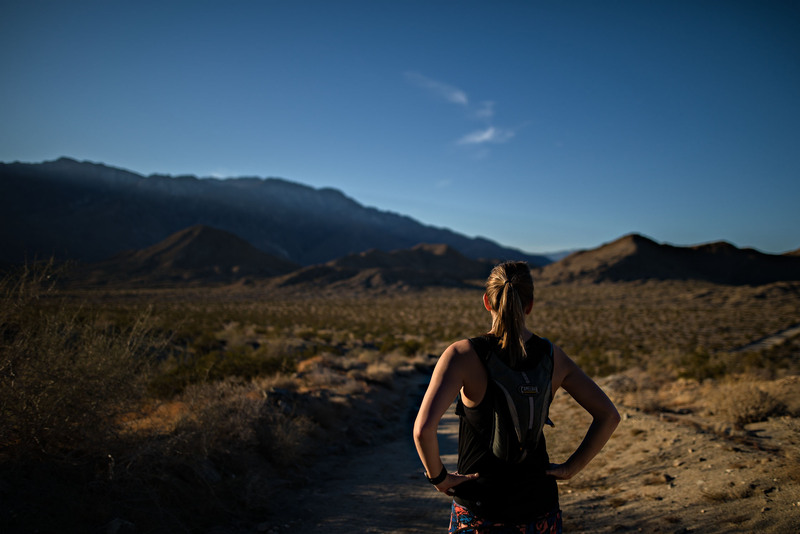 That’s 5 days of running and eating in Palm Springs. A return visit is definitely on the agenda.